P.S. 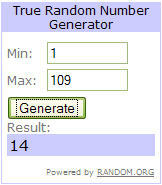 We have a winner for our giveaway! Lacy from Girls Gone Blogging! Congrats on your new RachelleD necklace! Big thank you to RachelleD and all who participated! New giveaway to Apothica coming up later in the month! Stay tuned! I love the country feel with the feminine floral dress! Such a pretty dress! My boyfriend was busy for like an hour last night setting up a prank for our friends! I haven't been pranked....yet. I can' never think of any good ones. either! You look so lovely and breezy in your floral and chambray! And your hair looks beautiful straight! You make me happy. And that is all that matters. Kind of. love how you have tyed up your jean top, and the boots go great with it! gorgeous as always! I got pranked TWICE! Someone gave me a ketchup filled donut this morning and then just got my "the" in my word doc changed to something ridiculous when typing something to the client. Luckily I haven't been pranked yet....but your right there is still plenty of time for anything. Love the western look...being a texan girl myself its one my favs! I've been dying to get my hands on a floral dress! I love the way you paired it with the boots! Cowgirl boots are my new obsession, just this past year I bought 3 new pairs, and have my eye on a new one! you are tan. and it upsets me. love it!!! I love the denim with floral combo and the boots...AWESOME! (high pitch voice) :)Enjoy your weekend lady. I absolutely love this outfit and how your boots tie in everything. you look great! The cowboy boots are just the AZ girl in ya :) great outfit....you've got killer legs girl! As a Texas native, I have to say I love this outfit! The jean jacket paired with the floral dress & cowboy boots is super cute. I also love your bag - I'm in search of a new shoulder/satchel-style bag and one like this would be perfect. So cute. You have the longest legs ever! I so would have loved the april fools post! That would have been hilarious! For the first time in years I was not pranked today, yay for me! ... back to fashion completely adore your look, that dress is just so pretty and the boots look amazing, wish I had great legs like you! I've never seen your hair straight! I like! I love this floral print dress! I have always loved outfits that combine different styles or looks and so naturally I am loving the very girly florals paired with the more masculine chambray! Love. Love the chambray shirt! That's an amazing F21 find. This look is gorgeous! i love that dress! OH WHY DIDN'T YOU!!! Seriously, you should have done that. It would have been funny to see all the comments, like, "Woww. Hmmm, I'm kind of getting it... i like how you did all that to make it work. Hmmm. Good job!" so pretty! just found your blog and i love it! You're lucky you can wear that. Here there is still snow. lovely outfit, as usual :)! you make me wanna buy cowboy boots! the weather looks AMAZING in Arizona!!! Just want to let you know I love our blog and nominated you for The Versatile Blogger Award! Thanks for your inspiration! just found your blog and i'm hooked! LOVE your fashion taste - you have some gorgeous pieces! i just love your looks!